Name of the Organization Uttar Pradesh Basic Education Council Board. Moreover, UP Basic Education Board has recently announce about the Recruitment of 69,000 Posts of Sahayak Adhyapak/ Assistant Teacher. Many Interested Candidates filled their Application Form. The Process of Submitting Application Form is Conducted Online. The Process of Submitting the Online Application is started from 06th December 2018 to 20th December 2018. Here in the Below Link Candidates Can Check the Details about the Recruitment. Also, go to our website and search you can find all details regarding UP Assistant Teacher Recruitment 2019. If not applied until now, no need to bother apply online process available until 20th December 2018. So need to bother, so interested and eligible applicants can apply now also through our website. 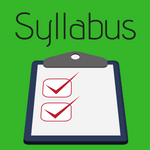 Further some details of UP Assistant Teacher Syllabus 2019 go to the complete article. The Exam will be of 150 Very Short Questions. Exam will be of 1 marks for each Questions. Language– Hindi, English & Sanskrit :- व्याकरणJ, अपठित गद्यांश पद्यांश, Grammar, Comprehension. Daily life includes science, speed force, energy, distant light, sound, world of creatures, human body, health, hygiene and nutrition, environment & natural resources, stages of matter and substance. Earth’s structure, Nadia, Mountains, continents, oceans and fauna, natural wealth, latitude and decimal, solar system, Indian geography, Indian freedom struggle, Indian social reformer, Indian Constitution, our governance system, traffic and road safety, Indian economy and challenges. Teaching methods and skills, principles of learning learning, current Indian society and elementary education, inclusive exams, new initiatives for elementary education, educational evaluation and measurement, initial formation skills, educational focus and administration. Personal variation, factors affecting child development, identification of learning needs, creating environments for reading, theories of learning and their practical utility and use in classroom teaching, special arrangements for the lamp belt. Important Current Occupations, Current events, international, national, important events related to the state, location personality compositions, International and national award-sports, culture and art. Analogies, Aeration and Region, Binary Logic, Classification, Block and Calendars, Coded Inequalities, Coding-Decoding, Critical reasoning, Cube Number Series, Puzzles, Symbol and Notations, Van Diagram and Dice, Data Interpretations, Direction Sense Test & Letter Series. Information in the field of teaching skills, art teaching and school management, technical computers, internet, smartphones, useful applications in teaching, digital, teaching materials. Professional conduct and policy, motivation, role of education, constitutional and original origins, penal and punishments are effective use. 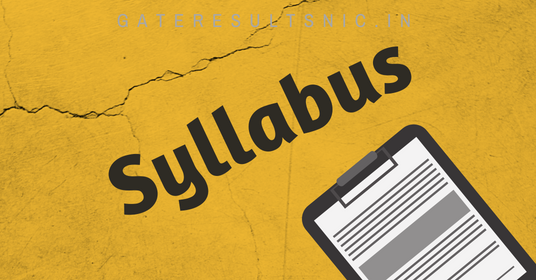 Hence, Stay tuned to our website gateresultsnic.in and know further updates of this UP Assistant Teacher Syllabus 2019. Also, check other news such as syllabus, admit card, answer key, exam results etc. Finally, bookmark this page and also follow us on Facebook and Twitter.